Now that much of the nation is over the Polar Vortex that came through , I thought it might be a good idea to revisit the idea of surviving and thriving in cold weather. Winter isn’t over yet. Here are a couple of infographics that spell it out. But, if you want chapter and verse on the subject, please check out my post – Exercising outdoors in cold weather from a while back. I have an apartment facing southeast with big windows so I get a lot of sunshine in the winter which warms the unit and cuts into heating bills. As a result I have less reason to suffer from dry eyes in the winter time than most. Here are some useful tips from the University of Alabama at Birmingham on cold weather and dry eyes. As cold winter months arrive, many people will live in dry, indoor conditions with the heat on all day, which contributes to the season’s being the most common time people complain about dry, itchy and watery eyes. I am reblogging this because the Weather Channel said that more than 20 million people are under cold weather conditions today. So, winter seems to have come early to Chicago. Whether you ride a bike or not, I think you will find some useful info here. Although Chicago has had some spring like temperatures in the past week, this is December and colder readings are on the way. Personally, while I don’t like to feel the cold, I do like the fact that I can insulate myself with another layer of clothing and still enjoy the outdoors. As regular readers know, I ride my bike here year ’round. Here’s what Medical News Today has to say about colder temps. Winter’s here now, temperatures are dropping, and chances are that it’ll get even colder. All that most of us want to do is cozy up indoors with a mug of hot tea and a heartwarming movie, but do cold temperatures bring us any health benefits? If so, what are they? We investigate. Research has suggested that cool temperatures could bring a range of health benefits, and that we shouldn’t always shun exposure to cold. In this article, we give you an overview of some of these reported benefits. Our bodies follow a circadian rhythm that self-regulates eating, sleeping, and activity patterns according to day-night cycles, thereby allowing us to function normally. Researchers have found that a dysregulation of circadian rhythms can lead to a disrupted sleep, which, in turn, can lead to a number of health problems. Studies that were recently covered by Medical News Today have found that insomnia and other sleep disorders can impair our perception and cognitive function and heighten the risk of kidney disease and diabetes. Research has revealed that, when we fall asleep, our body temperature begins to drop. Insomniacs, however, seem unable to regulate body heat appropriately, leading to difficulties in falling asleep. This is where external temperatures come in. One study experimented with “cooling caps” — that is, headwear that keeps the sleeper’s head at cooler temperatures — and found that insomniacs benefited from the exposure, which allowed them to enjoy a better night’s sleep. Current sleep guidelines — supported by existing research — suggest that the ideal temperature in our bedrooms as we prepare to go to sleep should be somewhere between 60 and 67 degrees Fahrenheit. A little personal history here. Back when I first retired, 17 years ago, I got really careless about my weight and health. I ballooned up to 225 pounds from the 185 to 190 that I had carried while working. I was around 5 feet 10 inches at the time. My waistline measured between 42 and 44 inches. The only good thing about carrying that weight is that I never was bothered by the cold. I began writing this blog in March of 2010. Since that time I have taken my weight down to the 155 pound area and my waist to 31 inches. Yes, I am enjoying robust good health now. BUT, one of the aspects of my life that has changed negatively is that I am often cold. When the temp drops I freeze. I think I wear long underwear about six months a year. When I asked my doctor about this, she told me that in losing the fat, I had taken the insulation away from my core and I was now more vulnerable to cold temps. So, I was most interested in this information from Medical News Today on feeling the cold. Gloves? Check. Hat? Check. Thermal layers? Check. But why am I the only one prepared for the onslaught of a snowstorm? The cold affects everyone differently. With Halloween now firmly behind us, we find ourselves on the slippery slope into full-blown winter. While many of us may enjoy spending time outdoors on a crisp winter day, few people enjoy feeling cold. An apple a day keeps the doctor away is one of those cliches we have heard all our lives. So is, feed a cold, starve a fever. The last time you had a stomach bug, you probably didn’t feel much like eating. This loss of appetite is part of your body’s normal response to an illness but is not well understood. Sometimes eating less during illness promotes a faster recovery, but other times—such as when cancer patients experience wasting—the loss of appetite can be deadly. Now, research from the Salk Institute shows how bacteria block the appetite loss response in their host to both make the host healthier and also promote the bacteria’s transmission to other hosts. This surprising discovery, published in the journal Cell on January 26, 2017, reveals a link between appetite and infection and could have implications in treating infectious diseases, infection transmission and appetite loss associated with illness, aging, inflammation or medical interventions (like chemotherapy). “It’s long been known that infections cause loss of appetite but the function of that, if any, is only beginning to be understood,” says Janelle Ayres, assistant professor at Salk Institute’s Nomis Foundation Laboratories for Immunobiology and Microbial Pathogenesis. Mice orally infected with the bacteria Salmonella Typhimurium typically experience appetite loss and eventually become much sicker as the bacteria become more virulent—spreading from the intestines to other tissues in the body. Ayres’ team tested different conditions in the infected mice and found that sick mice that consumed extra calories despite their appetite loss actually survived longer. It turns out this survival wasn’t due to a more active immune response by well-fed animals (as measured by levels of the bacteria in the host). Instead, it was because the Salmonella weren’t spreading outside of the intestines and throughout the body when the mice ate more, which enabled the animals to stay healthy despite infection. Even more surprising, the Salmonella were acting on the intestine to try to suppress the appetite loss in the host. The finding was initially puzzling: why would the bacteria become less virulent and not spread to other areas in the body when nutrients were more plentiful? And why would Salmonella actively promote this condition? It turns out the bacteria were making a tradeoff between virulence, which is the ability of a microbe to cause disease within one host, and transmission, which is its ability to spread and establish infections between multiple hosts. When the host ate more and survived longer during infection, the Salmonella benefitted: bacteria in those mice were able to spread via feces to other animals and increase its transmission between hosts, as compared to bacteria in mice who didn’t eat and died sooner due to heightened bacterial virulence. The researchers discovered that, to halt the appetite-loss response and boost transmission between hosts, Salmonella produces a molecule called SlrP, which blocks activation of an immune protein (cytokine) in the intestines. This cytokine typically communicates with the brain’s appetite center, called the hypothalamus, to prompt the host to lose its appetite during infection. The team found that mice infected with Salmonella that couldn’t make SlrP ate less food while infected, lost more weight and died faster than control mice. Though the same gut-brain pathway tied to appetite loss exists in the human as in mice, Ayres cautions that infection responses are dependent on many factors and that whether eating—or fasting—during illness can improve one’s health will depend in large part on what the causative agent of the infection is. Her team is planning to search the human microbiome (the collection of bacteria that live in people’s bodies) to find other microbes that might have a similar effect on this pathway and explore those for new therapies tied to appetite loss and treating disease. The lab also wants to investigate whether drugs could be used to turn up or down the sickness-induced appetite-loss pathway that SlrP targets. “Now that we’d identified this mechanism that regulates appetite, we want to turn it on the flip side and see if we can decrease appetite via this mechanism to help in cases of metabolic disease,” says Ayres. The discovery also points to the tantalizing possibility of treating infectious diseases with approaches other than antibiotics, such as nutritional intervention. “Finding alternatives to antibiotics is incredibly important as these drugs have already encouraged the evolution of deadly antibiotic-resistant strains,” says Ayres. In the United States alone, two million people annually become infected with bacteria that are resistant to antibiotics and at least 23,000 people die each year as a direct result of these infections, according to the U.S. Centers for Disease Control. Regular readers know that I just turned 77 last week. While I enjoy robust good health at present that is not true of many of my fellow senior citizens. A lot of them don’t get out a lot and suffer from limited mobility. The National Institute on Aging (NIA) said that older adults can be particularly vulnerable in cold weather. The NIA offered the following ways to stay safe during the winter months. While these are directed at seniors many apply to any individual deciding to go out and brave the winter winds. Try to stay away from cold places. Changes in the body that come with aging can make it harder for older adults to be aware of getting cold. Check the weather forecasts for windy and cold weather. Try to stay inside or in a warm place on cold and windy days. If you have to go out, wear warm clothes including a hat and gloves. A waterproof coat can help you stay warm if it’s cold and snowy. Wear several layers of loose clothing when it’s cold. The layers will trap warm air between them. Don’t wear tight clothing because it can keep your blood from flowing freely. This can lead to loss of body heat. Ask your doctor how the medicines you are taking affect body heat. Some medicines used by older people can increase the risk of accidental hypothermia. These include drugs used to treat anxiety, depression, or nausea. Some over-the-counter cold remedies can also cause problems. When the temperature outside has dropped, drink alcohol moderately, if at all. Alcoholic drinks can make you lose body heat. Make sure you eat enough food to keep up your weight. If you don’t eat well, you might have less fat under your skin. Body fat helps you to stay warm. Despite global warming, Chicago, where I live, has been suffering from some serious winter weather. I can pretty much ride my bike year ’round here, but I draw the line at single digits. I haven’t been able to find a mask that protects my face from frostbite and at the same time, doesn’t leak my breath up into my glasses – fogging them. Living in a high rise building, I can usually take to the stairs and still get in a workout, with the benefit of weight-bearing exercise, to boot. There is also a health club downstairs, but I really don’t enjoy them. For those of you who may have similar wintertime woes, Harvard has some suggestions for keeping yourself healthy. Instead of a snow day baking sweet treats, try making a big batch of soup. You can experiment with different ingredients all winter long, providing you with a healthy distraction from the cold and an endless source of nutritious, warm meals. Regular readers know that I ride year ’round here in Chicago. Through November, we barely cracked 40 degrees F which didn’t call for much extra prep beyond gloves and ear covering. Come December, however, with the advent of the 30s and below a whole new dimension of cycling wear opens up. Whether you ride a bike or not, I think you will find some useful info here. More than 200 million Americans are experiencing less than freezing temperatures. The Weather Channel this morning reported that there were 350 cold temp records set in 45 states. We are getting late December weather in mid-November. 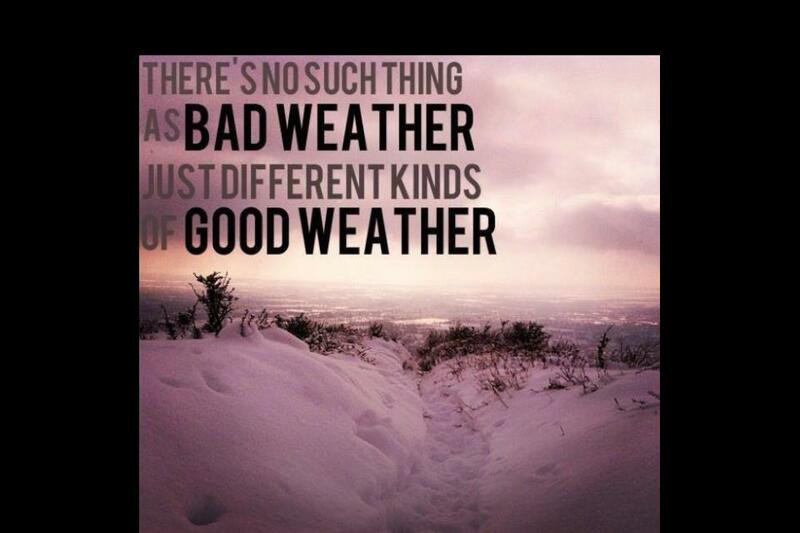 I hope the onset of extreme cold weather is not deterring you from the exercise you do outside. It may be less comfortable, but just as rewarding to continue after temps drop as long as you follow some simple rules. As a Chicagoan, I never even leave my apartment without checking the weather report. We have 25 degree temperature ranges nearly every day and it can be very easy not to mention uncomfortable to make a mistake about the weather. Once temps fall below freezing, you need to be on guard against frostbite. This occurs on exposed skin. On the 99 percent of your skin that is covered, you will want to wear layers. It is a big mistake to dress too warmly to exercise in cold weather. Your exercise will generate a lot of heat, but as your sweat evaporates, you will lose body heat and could become chilled. For running last week in Calgary where the temp was 17 degrees Fahrenheit, Bracko wore a first layer of wool and synthetics which wick away perspiration from your skin. Further on that subject, the Mayo Clinic says, “Dress in layers that you can remove as soon as you start to sweat and then put back on as needed. First, put on a thin layer of synthetic material, such as polypropylene, which draws sweat away from your body. Avoid cotton, which stays wet next to your skin. “Next, add a layer of fleece or wool for insulation. Top this with a waterproof, breathable outer layer. As a 150 pound five foot nine guy, I can relate to that last part about needing more insulation. My lack of fat (insulation) requires more attention. One last point on layering: it is a perfect example of 1 + 1 = 3. How so? When you add one layer you are also adding a layer of dead air in between and dead air is the best insulator in the world. Now that we have the body covered, what about the extremities? I can attest that my most vulnerable points are my fingertips and toes. If you are wearing more than one layer of sox, or thicker sox, Bracko suggests getting shoes about a half size bigger. After experimenting with goose down filled ski gloves, I have settled on simple glove mitts. These are convertible mittens that slide back to reveal bare fingers. In their mitten mode these keep my fingers warmer than anything I have ever tried. Toes are another problem. I wear wool sox and in extreme cold put wool sox over thin layered silk ones. But the best thing for protecting my toes is a layer of tinfoil on the bottoms of my shoes that reflects the heat of my body back up and warms my toes. You may have noticed by now that the material cotton has been pretty much conspicuous by its absence. You don’t want cotton next to your skin in the cold. It absorbs perspiration and then makes you cold as your body cools. The synthetic materials wick away the perspiration and keep you comfortable. You can exercise outside and get the benefits of both exercise and being outdoors if you just take a few precautions. I know that for cold weather biking, it is just as much fun to ride in the cold and there are usually less people out competing for space on the bike path. For more on cold weather exercise, check out A Cold Weather Exercise Tip, 11 Cold Weather Exercise Tips, Cold Weather Cycling Tips. Because I ride my bike almost daily here in Chicago, a four season city, I have a lot of experience with exercising out in the cold. Nonetheless, I had an experience today in 35F degree weather that was actually startling. Although I was riding my bike, I think what happened to me could happen to anyone whether running, cross country skiing, or anything else out of doors. In order to exercise outside in most weather, I keep notes on what I wear in various combinations of temperature, humidity, wind, sunshine, rain. Is he going to ride outdoors or rob the bank of Alaska? The temperature reading I got this morning was 25F. This calls for two pair of long johns, wool sox, four layers on top, covered by a vented windbreaker. On my hands I wear thinsulate-lined convertible glove mitts. One of the basic principles is that you expose as little bare flesh as possible. I had to walk the dog and fix breakfast before I got out on the bike. By the time I did, the temperature had risen to 35F on my cycling computer and there was a good sun. I was feeling really good after about 40 minutes and decided that I would prefer to wear my thin gloves with the fingerless cycling gloves on top. They are more comfortable on the bike with their thicker palm padding. So I stopped the bike and put away the glove mitts and switched to the thinner ones. After about five minutes of riding I detected the cold air the gloves and chilling my fingers. This had not been the case with the glove mitts. I made a mental note that this combination of thin gloves and cycling gloves was not appropriate for 35F degree weather. But, I didn’t stop and switch back. I continued riding. Here’s where the discovery took place. After about 20 more minutes of riding, my hands had grown chilled – to the point where it felt uncomfortable. In another five to 10 minutes, I could feel that not only my fingers and hands were chilled, but my wrists and forearms had begun to feel cold, too. As I rode now, I was getting the impression that I was too cold to continue even though I had been out close to an hour already in relative comfort. I stopped the bike and switched back to the warm glove mitts. Here’s the part that amazed me. My fingers and hands responded immediately to the new protection and felt comfortable. In another five minutes my arms had warmed up and I was no longer feeling cold and had no desire to cut the ride any more. Previously I had known that I needed all my skin areas to be covered up or the air would make me cold, but in this instance, the skin on my hands remained covered, just not as much as previously. Apparently that was enough to signal my body that I needed more protection. So, my conclusion is that you need to be aware that you are covered and adequately covered. When I changed gloves the first time, my fingers and hands remained covered, but they were not protected fully from the cold. The interesting thing is that I use the cycling glove combo regularly for temps in the 40s F and they work perfectly. I hope this was of some use to you in getting outside exercise in the winter. Please feel free to share any tips you may have discovered on your outside road to good health. I am convinced that dressing correctly for cold weather outside activities is as much art as science. 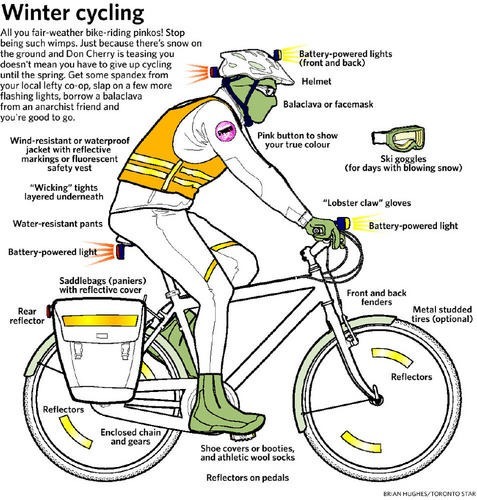 Cold weather exercise tips and Cold weather cycling tips. What are we talking about here? Wikipedia says Nature-Deficit Disorder refers to a hypothesis by Richard Louv in his 2005 book Last Child in the Woods that human beings, especially children, are spending less time outdoors resulting in a wide range of behavioral problems. This disorder is not recognized in any of the medical manuals for mental disorders. I confess that on first blush this term sounded kind of tree-hugging and politically-correct to me. Don’t we have enough important things to concern us without worrying about being out in nature? While this being nature deprived is usually applied to children, it doesn’t have to be. I am indebted to Kelly, The Spunky Caregiver, for introducing me to the concept in the first place. In these waning days of November with the advent of cold weather, it is a good idea to remind ourselves that inclement weather conditions are not an excuse to blow off exercise. 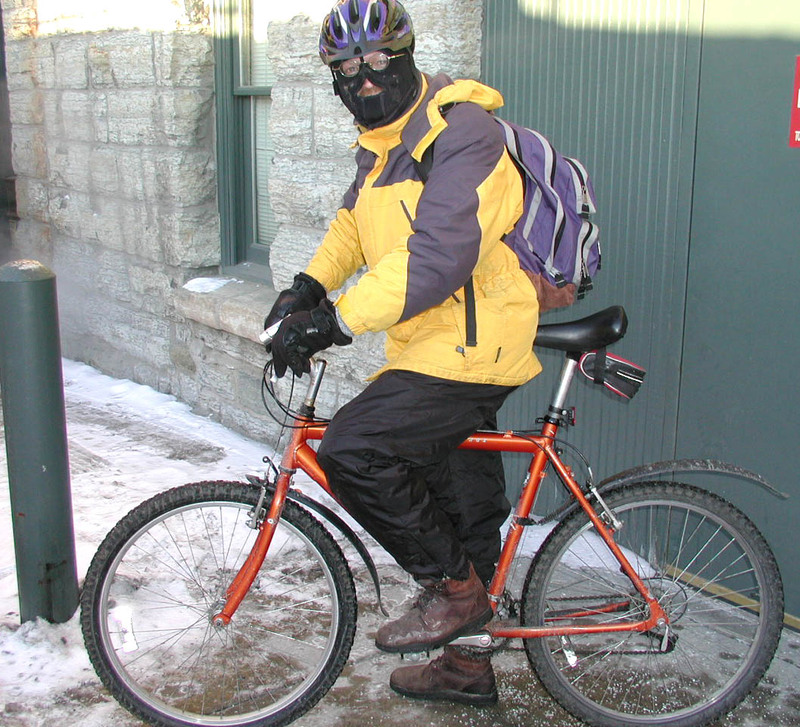 Last week I wrote Cold Weather Cycling for bike riders like me who go year ’round. The National Institute on Aging has a number of very useful suggestions for continuing to enjoy a variety of outdoor activities. Check the weather forecast. If it’s very windy or cold, exercise inside with a Go4Life DVD and go out another time. Watch out for snow and icy sidewalks. Warm up your muscles first. 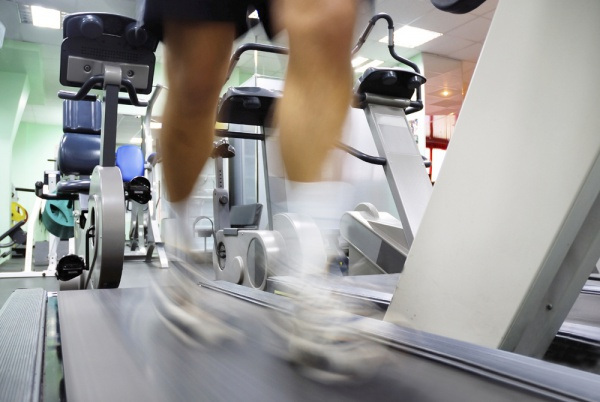 Try walking or light arm pumping before you go out. Wear several layers of loose clothing. The layers will trap warm air between them. Avoid tight clothing, which can keep your blood from flowing freely and lead to loss of body heat. Wear a waterproof coat or jacket if it’s snowy or rainy. Wear a hat, scarf, and gloves. Watch for signs of hypothermia: cold feet and hands, swollen face, pale skin, shivering, slurring words, acting sleepy, and being confused or angry. Be on the lookout for later signs of hypothermia: moving slowly, trouble walking, slow heartbeat, shallow breathing, and blacking out. Call 911 right away if you think someone might have hypothermia! Get the person inside and wrap him or her in a warm blanket. Eat less; move more; live longer. We still need to do it regardless of the conditions outside.